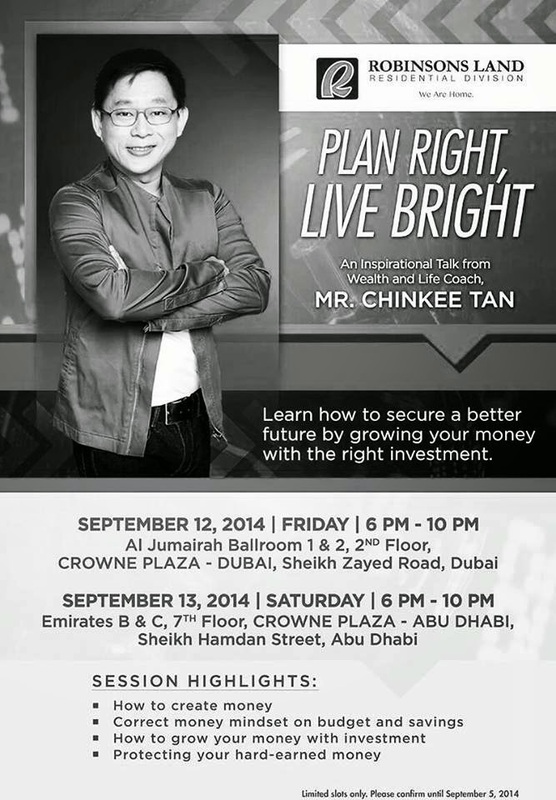 One of the most inspirational and motivational wealth coach and author Chinkee Tan is coming to Dubai and Abu Dhabi. The man who advocates turning tragedies into opportunities, Mr. Chink Positive's wisdom and strength are drawn from real life challenges. Chinkee started to realize the importance of perseverance and hard work at a very young age, just as when his father experienced big losses in business. He is an author of 3 best-selling books, 'Till Debt Do Us Part,' 'For Richer or For Poorer,' and 'Rich God Poor God.' It is very inspiring to read books or watch his videos on Youtube, but hearing him live will be a totally different experience. His way of engaging in the audience and his presentations are guaranteed to make an impact. He also anchors the popular and award-winning Chink Positive radio program in the Philippines. 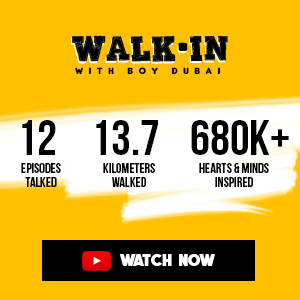 On September 12, he will be speaking at Crowne Plaza, Sheikh Zayed Road in Dubai. On September 13, he will be at Crowne Plaza, Sheikh Hamdam Street in Abu Dhabi. He will talk about 'How to create money,' 'Correct money mindset on budget and savings,' 'How to grow your money with investment,' and 'Protecting your hard-earned money' - all these especially channeled to us OFWs. The event registration is free, dinner included. Please contact Cesar, 056-2577403 or Ella, 050-3962091 not later than September 5 to reserve yourself or your group. Limited slots only. hi ion, have you rserved for LSE ?